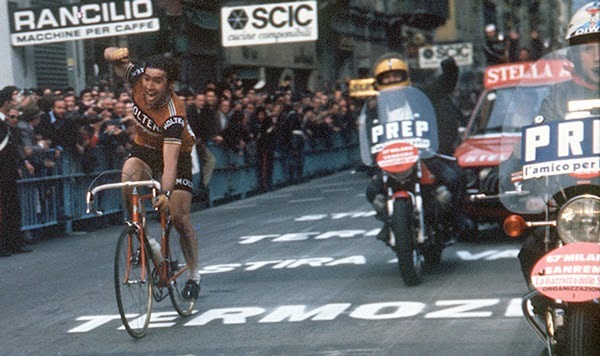 The Milan–San Remo goes back to its traditions to set up a spectacular finale on the classic Via Roma finish line, which has played a key role in the history of this "monument" race. Also known as “La Primavera”, the Milan–San Remo is organized by RCS Sport/La Gazzetta dello Sport and will be held on March 22. 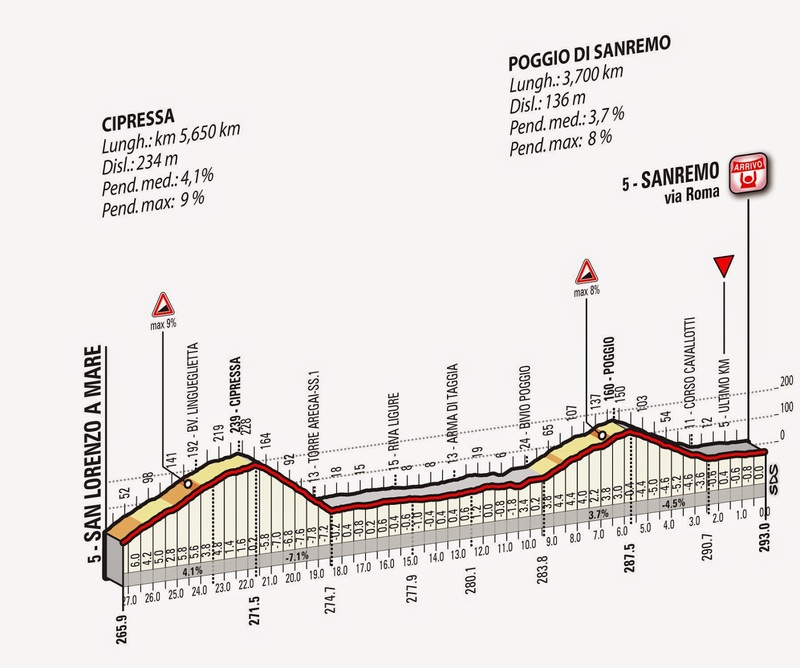 It will run a very similar course as the 2014 edition – with the key points on Passo del Turchino, Capo Mele, Capo Cervo, Capo Berta, Cipressa and Poggio di Sanremo – but has a substantial change for the finale. 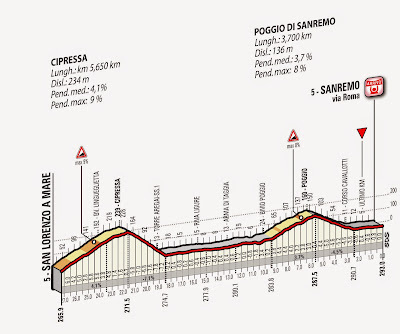 Compared to the Piazzale Calvino finish, which had 3km from the Poggio descent to the finish line and has been used for the last few editions, the Via Roma finish line will shortens this distance to “only” 2km. This change will make the race even more open and unpredictable – until the final moments – with the attackers having more chances to anticipate the fast wheels of the peloton. The total distance will therefore go from 294km to 293km from 2015. The last winner on the Via Roma was the Spanish rider Oscar Freire, in 2007. Eddy Merckx is the record holder, with 7 victories in this “Classicissima di Primavera”, winning the race in 1966, 1967, 1969, 1971, 1972, 1975 and 1976, with each of these on the Via Roma finish line – showing how the finale of this race can be open to many solutions. Long time framebuilder, Marco Bertoletti, who more recently created the LEGEND brand is featured in this video of riding one of his bikes to the upper part of Bergamo ("Città alta"). 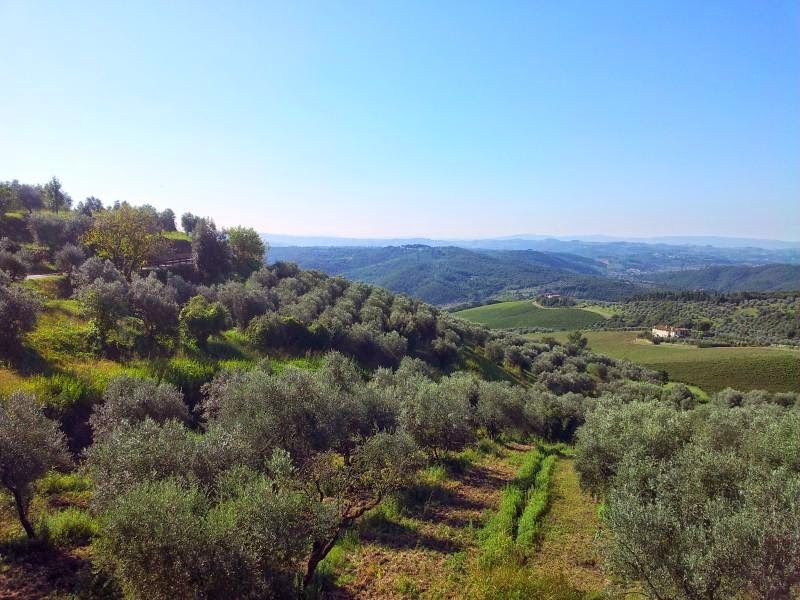 The Giro d’Italia is preparing a present for cycling fans, to put under the Christmas tree, with registrations to enter the Gran Fondo Giro d’Italia opening in December. The ride will be held on Sunday the 17th May. 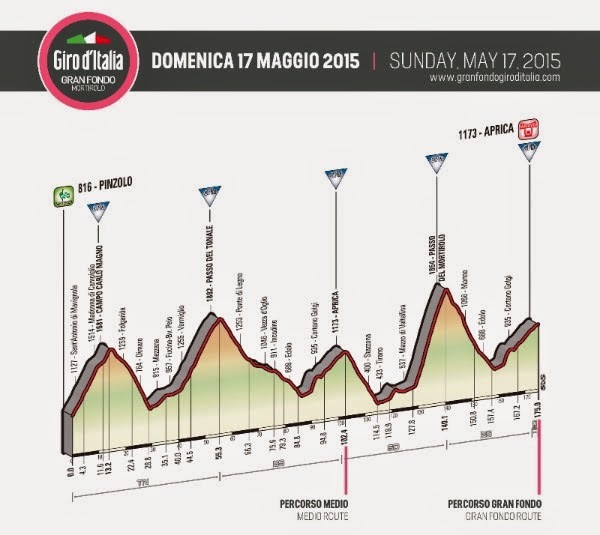 The Gran Fondo Giro d’Italia will be held on the route of the Corsa Rosa’s Queen Stage – from Pinzolo to Aprica – and will run over the same climbs, the same descents, the same hairpins and the same distance that will test the pro riders days later, in what is one of the most keenly awaited days of the 2015 Giro d’Italia. Gran Fondo Giro d’Italia will have two courses: a long route that will cover entirely the whole 175 km of the Pinzolo to Aprica stage, facing the climbs of Campo Carlo Magno, Passo del Tonale, Aprica, Mortirolo before the final climb towards Aprica; and a medium route, which will end after 102 km on the first passage in Aprica. 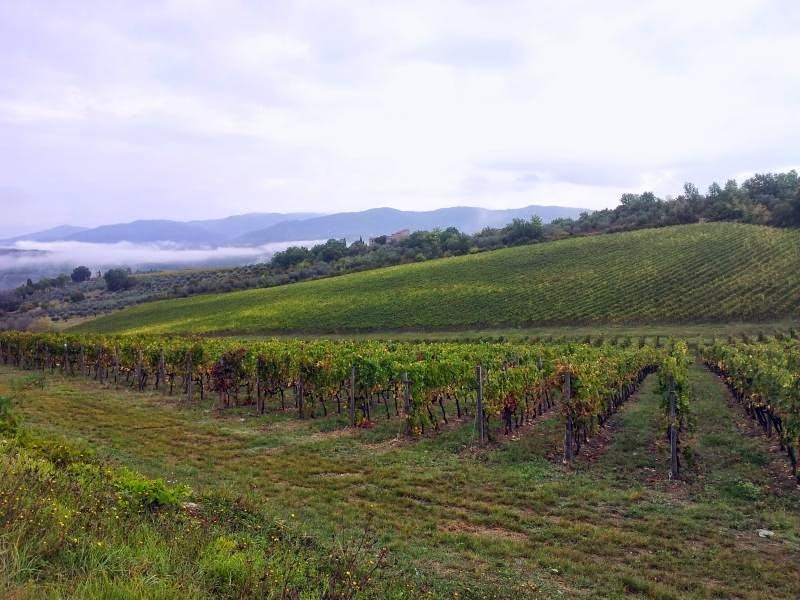 We received a note from Mauro Raspanti, one of the founders of "STAI A ROUTA", a new cycling tour company based in Firenze (Florence). "Stai a routa" in cycling parlance means "follow me". 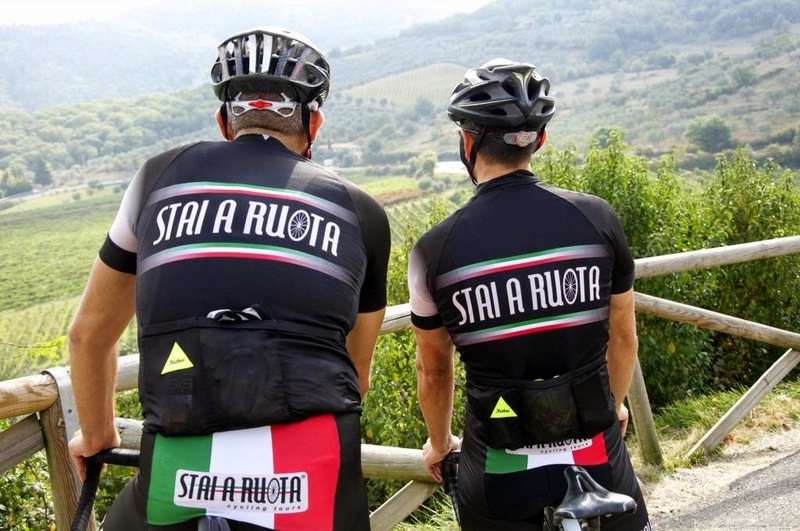 "STAI A RUOTA" was born in 2013 from the idea of three friends, all Tuscany natives, united by their passion for cycling and love for their land of origin. 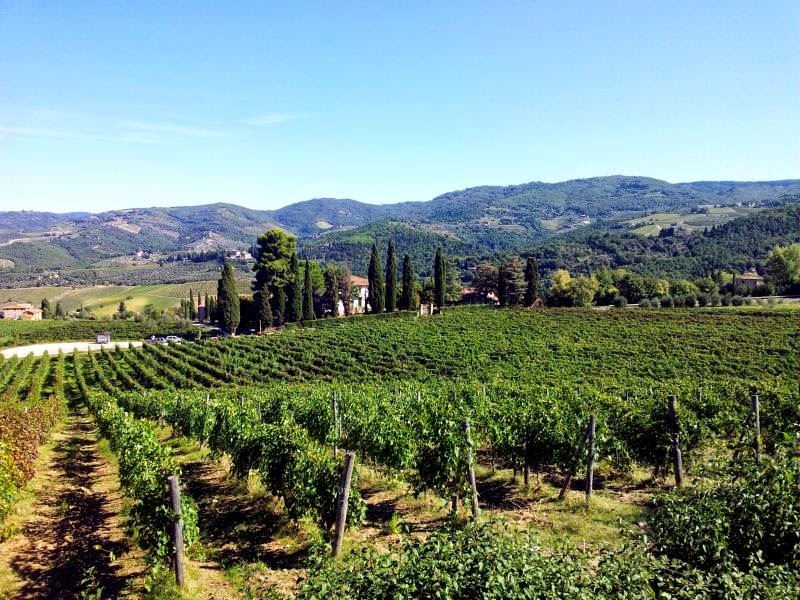 STAI A RUOTA offers innovative cycling tours in one of the most beautiful areas of the world.